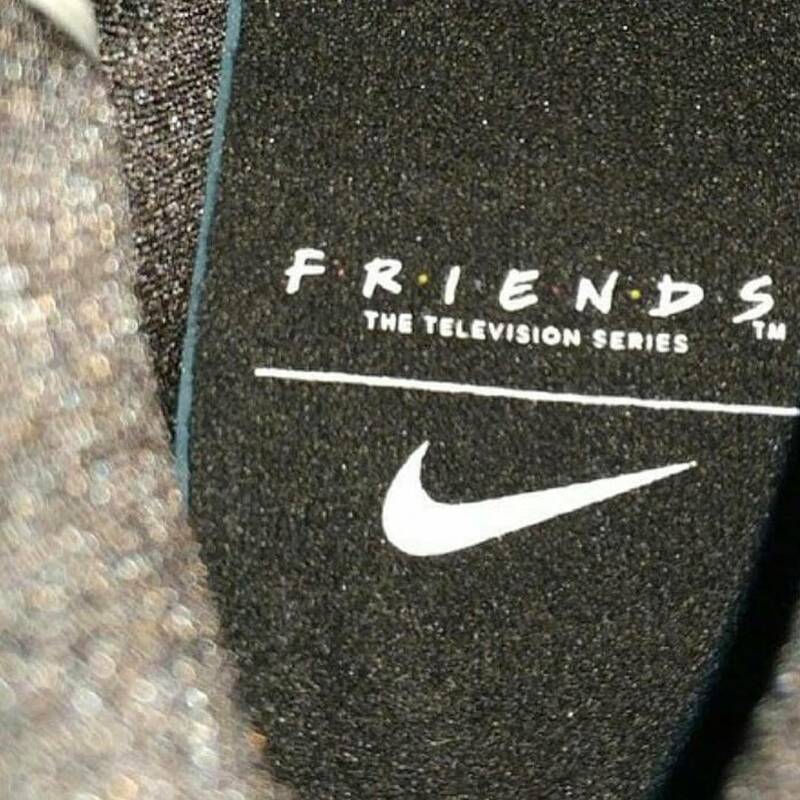 If Kyrie Irving fans didn't already know that the '90s sitcom "Friends" is one of his favorite tv series' of all time, I've got some news for you. 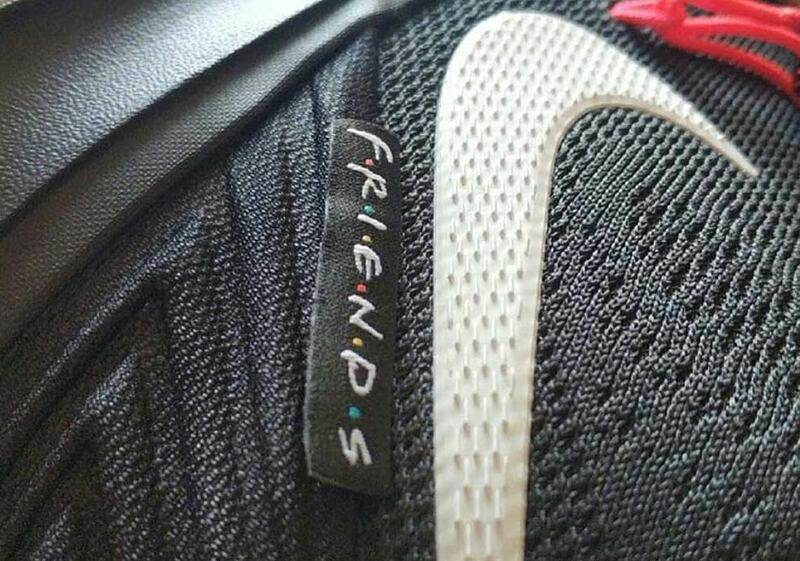 In honor of the hit tv show, Nike and Kyrie Irving have plans to release a "Friends" version of the Kyrie 5. As seen in the early batch of images that surfaced today, the kicks sport a black upper, equipped with blue, red and yellow accents. Additionally, the Nike Kyrie 5 "Friends" features the show's hand written logo under the white Swoosh on the lateral side of the left sneaker. 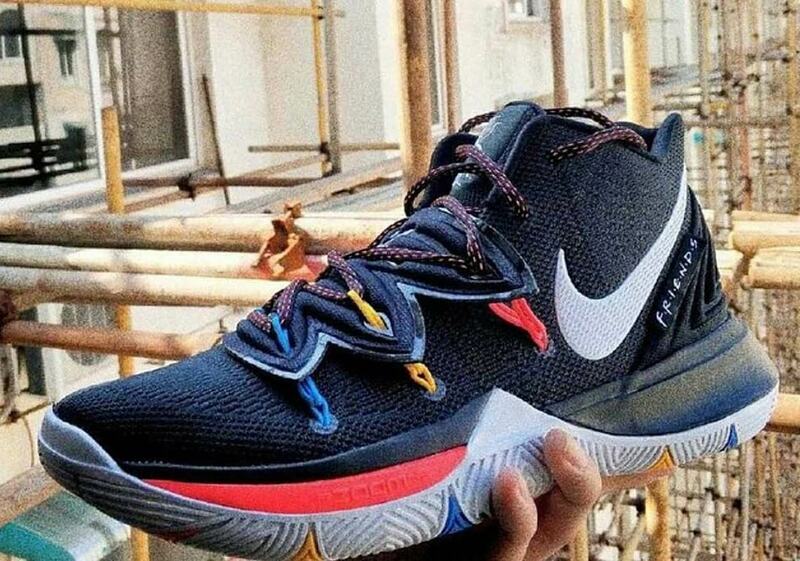 "KYRIE" is also spelled out on the right sneaker in the familiar Friends font, with small Nike swooshes in place of the red, blue and yellow dots. 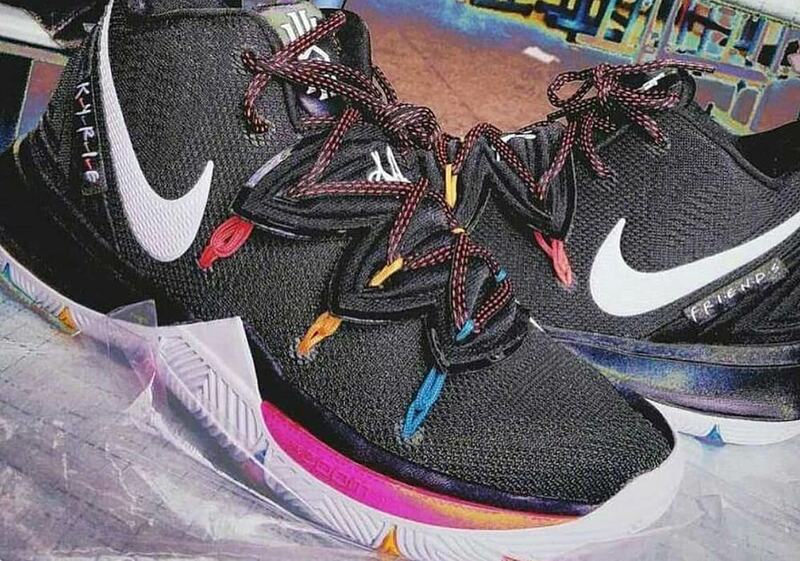 Take a closer look at the kicks in the images below and stay tuned for release details.